To achieve the sense of balance between employer and employee objectives and needs, Human Resource department needs to concentrate on these three general functions in the organization: Planning, execution, and assessment. exactllyHRMS caters to the most complex HR and Payroll requirements - From recruiting to hiring to the exit interview, from complex paystructure to payroll generation, from leave management to attendance tracking, it caters all with ease. - Group, Company and Branch setup. The Digital Group has explored the synergies between Human Resource Management (HRM) and Information Technology (IT) to develop Digital HRMS - a platform that allows an organization to focus on its real asset – the people. and intended to include all processes of HR Management. With the team of skilled IT professionals, we are able to offer HRMS Software Development. These presented services are best and quickly completed by diligent professionals by keeping clients up to date with changing work process. Toexa is a global provider of software solutions and solutions in a variety of industries. Based on its experience with various technologies and platforms, Toexa offers advanced, reliable, enterprise-centric enterprise solutions. - The system is an internet based application which can be accessed from anytime anywhere basis. We at AKILI know it better than anyone that HRMS & Payroll Software process can sometimes be more than handful. And it is something that cannot be delayed in order to keep the workforce motivated. Our HRMS & Payroll System synchronizes crucial HR and administrative processes. It benefits the business by effectively handling the workforce and smoothly carrying out the payroll procedure. A dedicated HR service Provider with Quality or HR services. 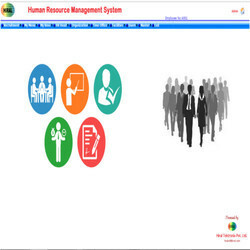 A Human Resource Management System, or HRMS as it is commonly referred to, is a combination of all the systems and processes that are necessary to efficiently manage the HR Department of an organisation. There are many routine and tedious activities in HR that should ideally be handled by technology. can be implemented across the organization irrespective of the location.